Remember my yellow 1920s dress, and how I said it was magic? Now I think maybe the magic is in Otari Wilton’s Bush instead. I’ve never done a photoshoot at Otari Wilton’s that hasn’t looked beautiful: there is something about the trees and the angle of the light that is just perfection. Theresa was in town last weekend, and, as we do, we had a dress-up photoshoot. I picked Otari Wilton’s Bush as our location, because Theresa had never been there. 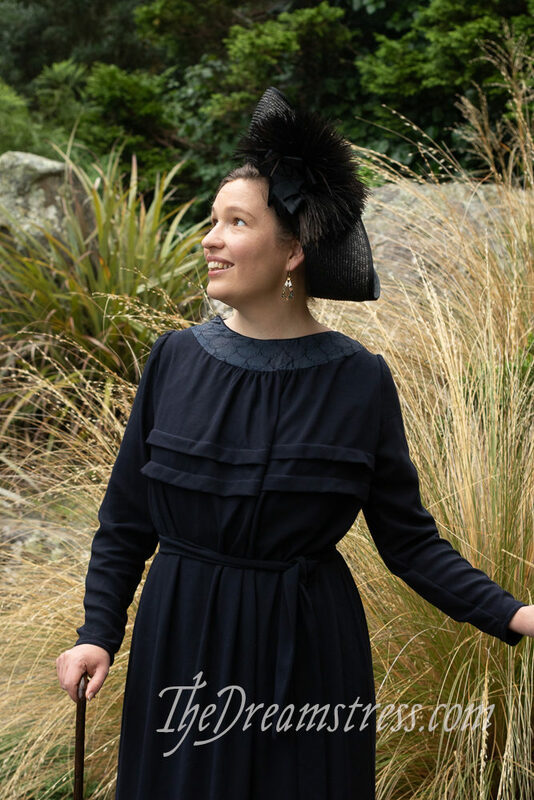 Theresa wore the 1910 Miss Muffet at the Village Fete dress, and I wore a brand-new just-finished dress from an original 1919 pattern, and my tricorne revival hat. 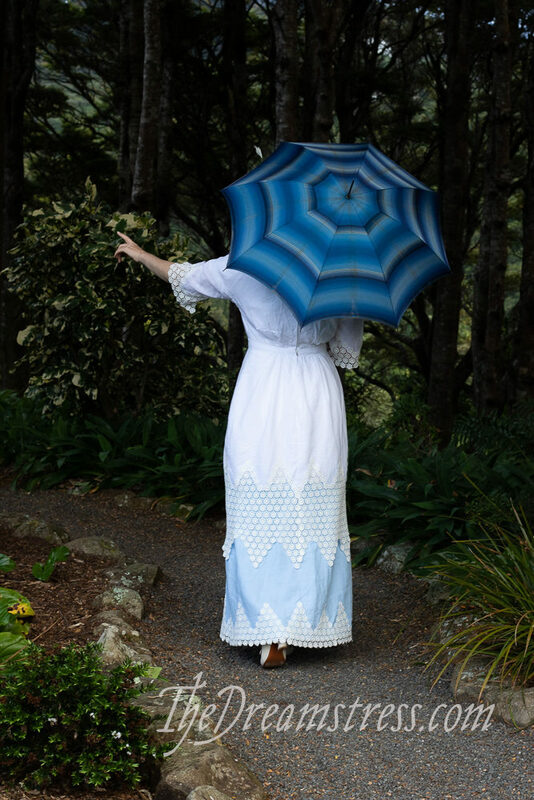 I actually made the dress as a wearable toile, because I wasn’t sure about the pattern. Out of 760 photos, at least 500 of them are good enough that I’d be proud to show you! So here is a quick look at a few, and I’ll post more in individual blog posts: especially ones about the 1919 dress construction. I can’t decide if I like the hats or the dresses best. Or the shoes. Or the scenery. Aww, thank you! I’m pretty fond of them all too! I like the pattern at the neck of the black dress! It makes me thing of sashiko, a bit. Thank you! It was a tiny scrap of fabric that I found at an op shop, and it matches perfectly and added the extra element the dress needed. It’s an embroidered silk cotton. I love the shape of the black dress! And that outrageous hat. Though such an all-black costume doesn’t seem like your type of thing, you look wonderful in it. I guess my monitor isn’t up to showing dark blue properly, then! 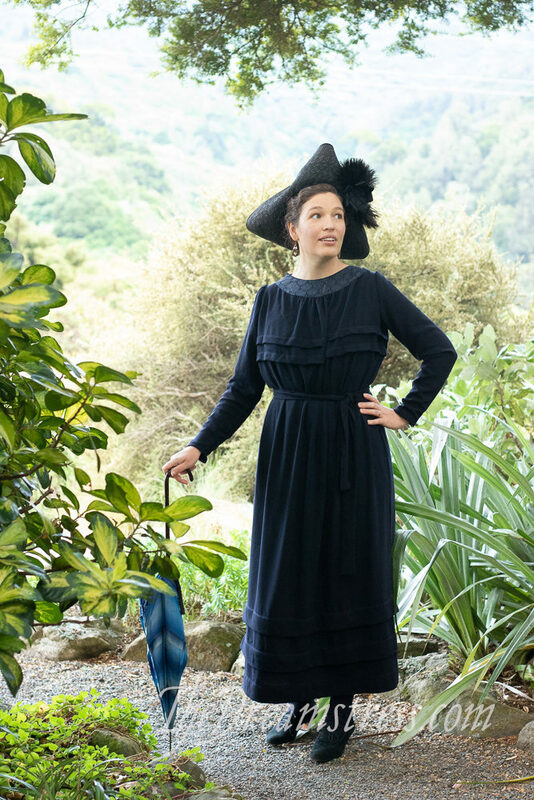 I don’t know if it helps that it looks black to me–I really didn’t think you were making “yet another blue dress.” Quite the opposite; I was wondering why you were dressed in what looked like widow’s weeds, albeit terribly dashing ones. Both your dresses are beautiful! And so is the scenery. Fabulous! 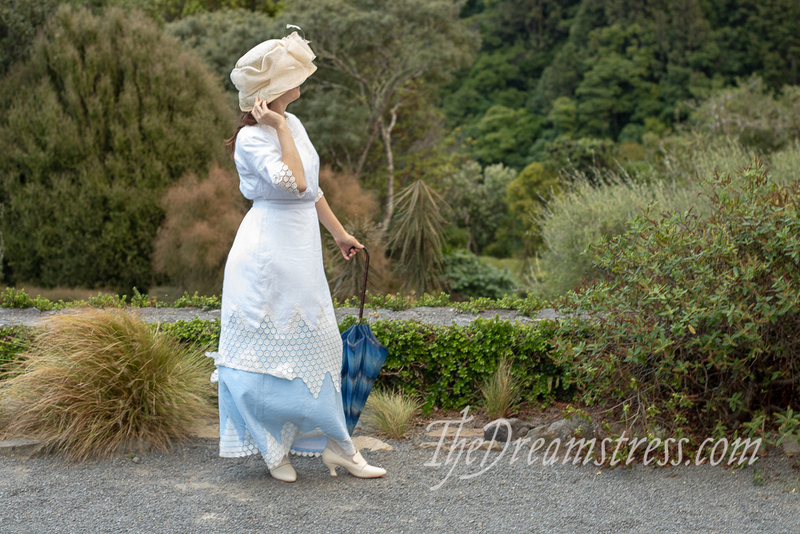 Both outfits are dreamy, and the landscape — it’s so full of changes in color and texture and probably scents and sounds, too. What a place! Thank you! <3 I love Otari-Wiltons - it really shows how gorgeous Wellington is. There is a water source behind the boulders, but I'm 99.9% sure it's a fountain/fake spring, not a real one. 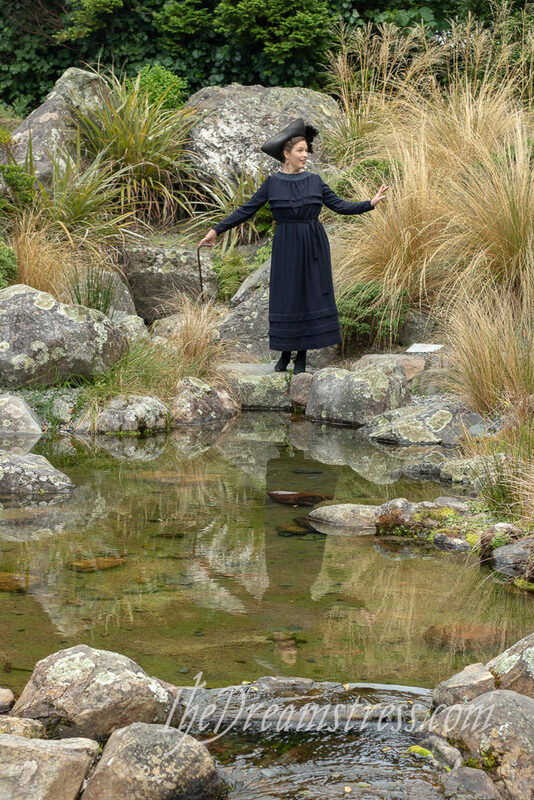 There is a real stream, with little waterfalls and pools, that runs through the park, but it's a bit of a hike for Edwardian heels. Thank you! This is indeed the dress I was unsure about for an event. All done it looks WAY better than I thought it would, and had I realised I would have finished and worn it. But I’m happy with what I wore. Love! Can’t wait to see and hear more!! !